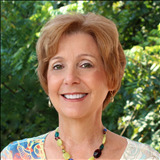 Selling a Home in Clarksville TN- Let Debbie Reynolds of Century 21 Platinum Properties guide you. Selling your home requires knowing the laws and having the help so you can negotiate the complexities that are required in today's market. Debbie Reynolds has over 37 years experience in real estate to get your property sold in the least amount of time at the best price possible. The experience, dedication and strong communication skills will help ensure the successful and profitable sale of your home. 1. The Local Advantage - Take advantage of a broad spectrum of technologies and tools to support the sale of your home from start to close. I believe in being tech savvy and spend time and monies to make sure that you benefit the most as a home seller. 2. Internet Advertising - Since the lion's share of home buyers starts their search on the internet (more than 90% of all buyers use the internet in their search), top placement on search engines is essential. You'll gain access to placement on Google, Bing, and other websites. This will maximize your exposure and bring a large number of potential buyers to view information about your home. I am constantly working to get the word out on my listings and to position them at the top in the search engines for the very best exposure in the market. 3. Email Campaigns - It's important to "work the network." We can work together to identify the right people to target your home-and get in touch with them by email, text, twitter, Facebook and other social media sites to drive excitement and interest. 4. Personal Touch - Of course, technology alone won't sell your home. Face-to-face interaction provides the advantage to sell your home-and you won't have to worry about a thing. I have a broad past client base that is constantly looking to move up or down in the market and these connections can only help you. The details will be handled with care and constant communication, to ensure the marketing and sale of your home go smoothly.